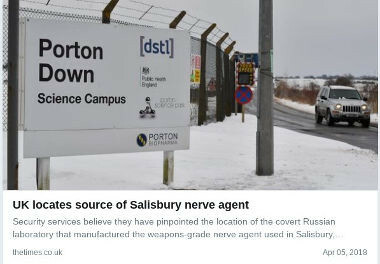 The British government alleged that the Skripals were poisoned by Novichok, a deadly nerve agent, and blamed Russia for it. There are stiill many open questions to ask but the British media, otherwise not afraid of ‘door stepping’, are curiously uninterested. We already noted in early April that the British press was throwing Novi-Fog™ onto the public. 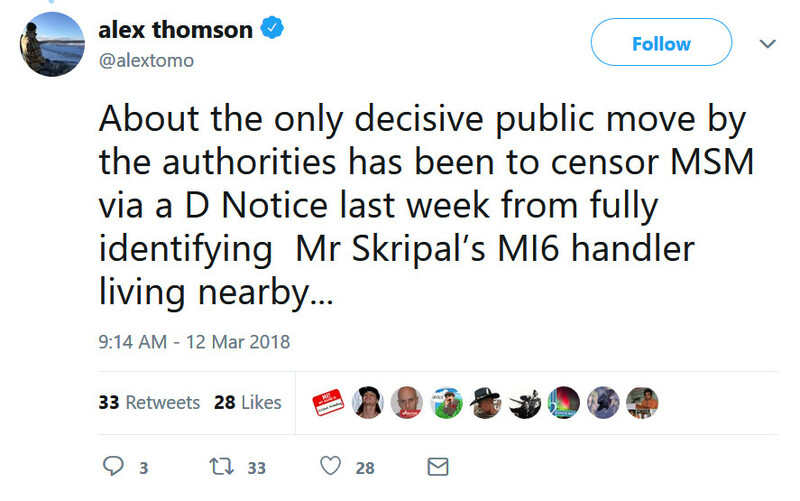 It was repeating outrageous and illogical claims from “security services” but did no genuine reporting on the Skripal case. This entry was posted on April 30, 2018 at 8:03 am	and is filed under Uncategorized. Tagged: D-Notice, Novi-Fog, Novichok, Skripal. You can follow any responses to this entry through the RSS 2.0 feed. You can leave a response, or trackback from your own site.